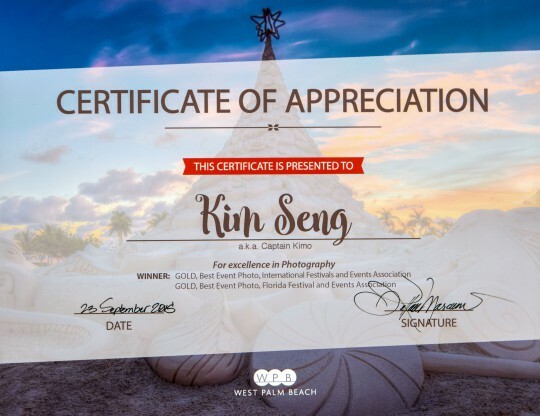 Letter from the Captain – I get asked daily for permission to use my photographs. Most people expect my images to be free… they are to an extent. I would love to give my images for free, but the reality is, I still need to make a living. Producing compelling images is my passion but it’s also my profession, and I can only do this with your support. 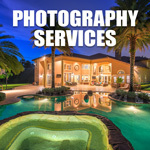 RoyalStockPhoto.com was created for image buyers to purchase and download Captain Kimo images quickly and easily. All images are high resolution files for commercial and personal use. If you are a business, company, group or non-profit organization, you need to buy my image for use. The price for each image varies depending on the amount of images you buy. Price start at $29.95 for a single photo, two or more images is $19.95 each and ten or more images is $14.95 each. When you purchase my image you are free to use it for your business or in anyway you see fit. However you cannot resell or redistribute the image in it’s original format. The usage rights for my image is very simple, you buy it… you can use it. After making a purchase you will get an invoice including a download link for the image(s) you purchased. You will also get a letter in a PDF format allowing you to use my image with your company. This is my way of giving back to the community that has helped me out so much and has allowed me to do what I love. Every month I offer twelve free photos for you to download and use with your website or business. You can use these photos to make a print for your home or office. Of course the same rules still apply for Free Photos of the Month, you can not redistribute the photo or resell any of the images in its’ original format. Free photos does not come with any support. I allow personal use of my image on a personal website or blog so long as the image is not altered in anyway. I also request that you credit me for the photo as well as link to my website at “RoyalStockPhoto.com” or “CaptainKimo.com” minus the quotes. To make it easier I’ve provided a link code below. If you’re an Artist or Musician and would like to use my work for a project, go for it! I am totally cool with you using my photos as a base for your painting or what ever creative projects you have going. Credit for photo being used is greatly appreciated. If you require a high resolution file you will need to buy the image. Below are examples of my photos being used in different places. 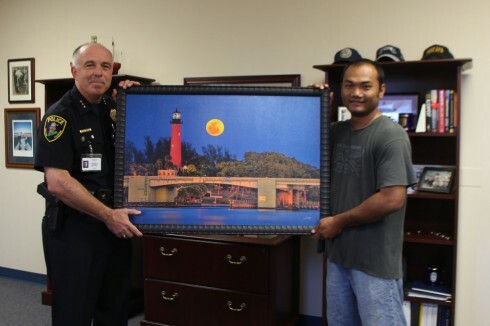 Above is a photo of me and the Chief of Police in Jupiter, Florida, Frank Kitzerow. 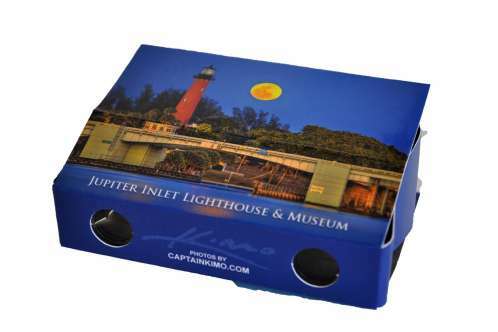 Frank bought the photo for his office from the Jupiter Lighthouse Museum Gift Shop. If you drop by the gift shop keep an eye out for it. It shouldn’t be too hard to miss, it’s one of the biggest pieces there! Click here to see the original photo. 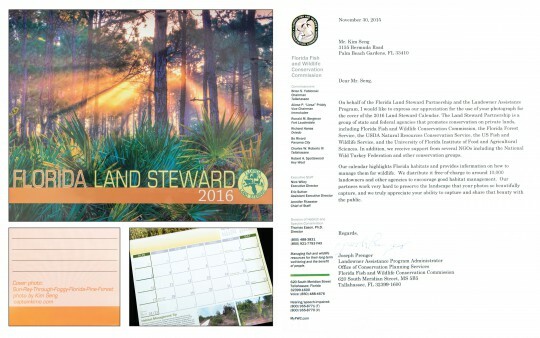 Above is the Florida Land Steward Calendar for 2016. My photo is on the front cover. It was shot locally in, Jupiter, Florida. I even go a nice letter from the Florida Fish and Wildlife Conservation Commission. 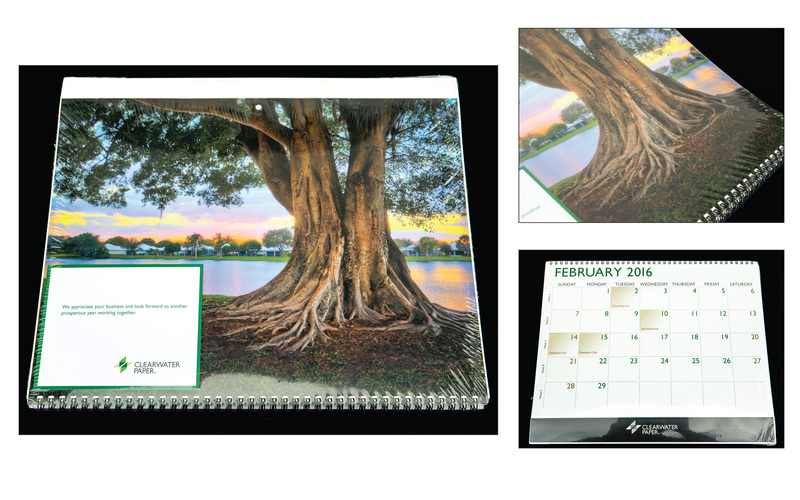 This photo was used by Clearwater Paper Company for their 2016 calendar that they give away to their clients. The cool thing about this calendar is that the tree was embossed. I tried to show it in the photo but it’s still hard to tell. This is a coffee table book by James D. Snyder about the Loxahatchee River. My photos can be seen throughout the book. James also wrote me a nice bio in the back of the book. 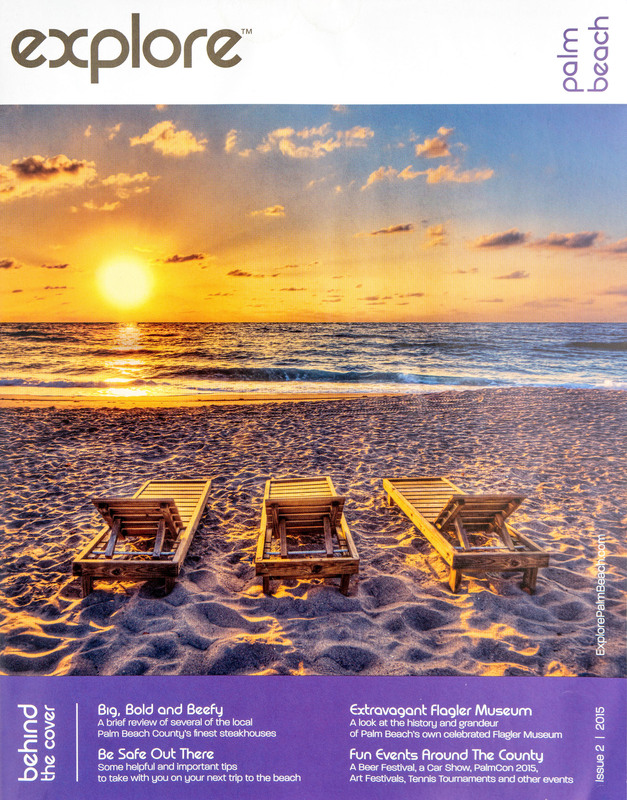 You can also get a copy of this book at the Jupiter Lighthouse Gift Shop. I was able to get a photo on the cover of this local magazine that gets mailed out to every house in Palm Beach Gardens. I also have one photo on the inside from Lake Catherine. You might still be able to get a copy if you go down to PBG City Hall and ask for it. Two of my images were used in the Worth Avenue Magazine. One is a a full page spread and the other is a single full page for Worth Avenue. 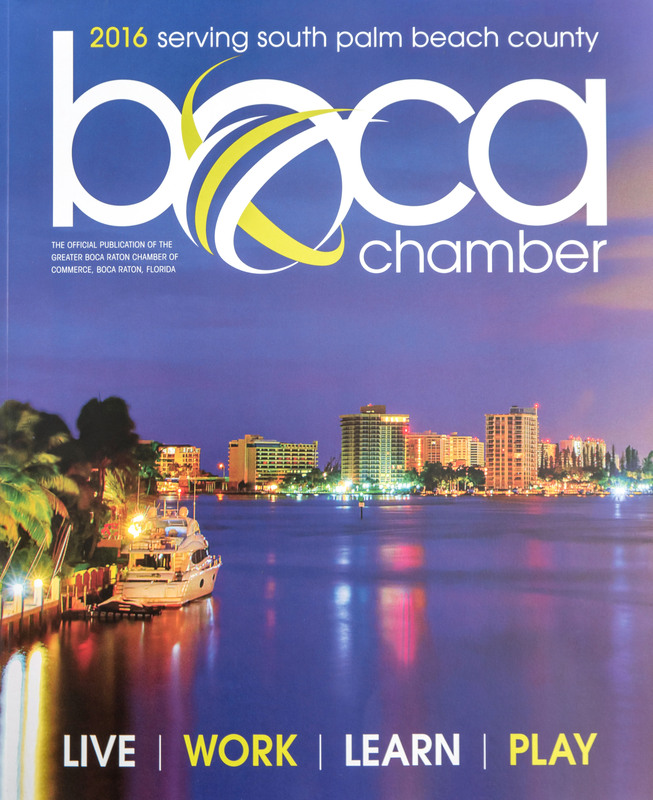 Another one of my photos on the cover of the Boca Chamber Magazine which is available for free to the public. 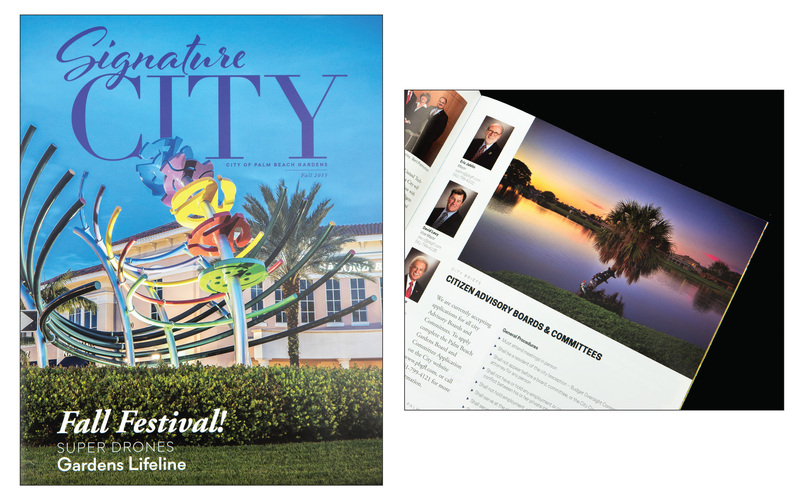 You might be able to pickup a copy at the Boca Raton City Hall. I found this magazine while I was at the Embassy Suites Hotel in West Palm Beach. 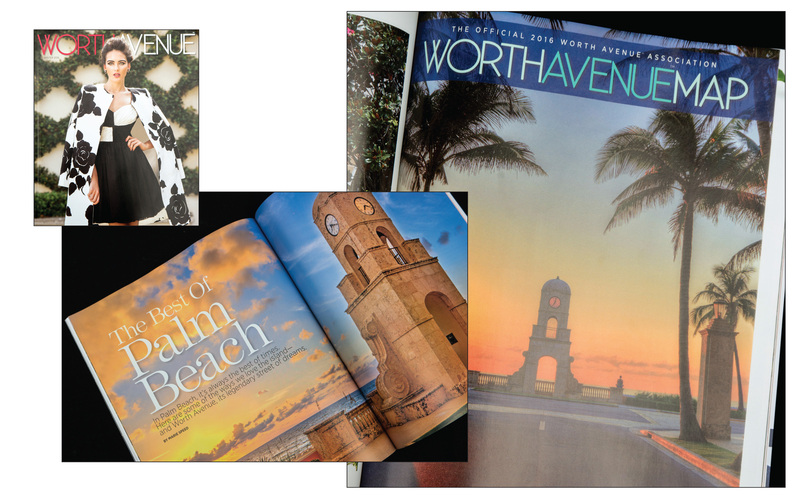 Image on the front cover was taken on Singer Island. This photo won Gold for Best Event Photo by the International Festivals and Events Association. The city of West Palm Beach used it for promoting the event. 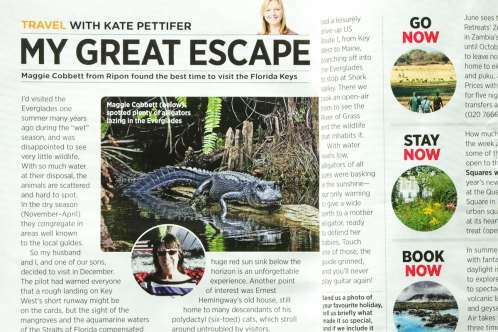 The alligator photo above was published in a article for Reader Digest in the UK about the Everglades. 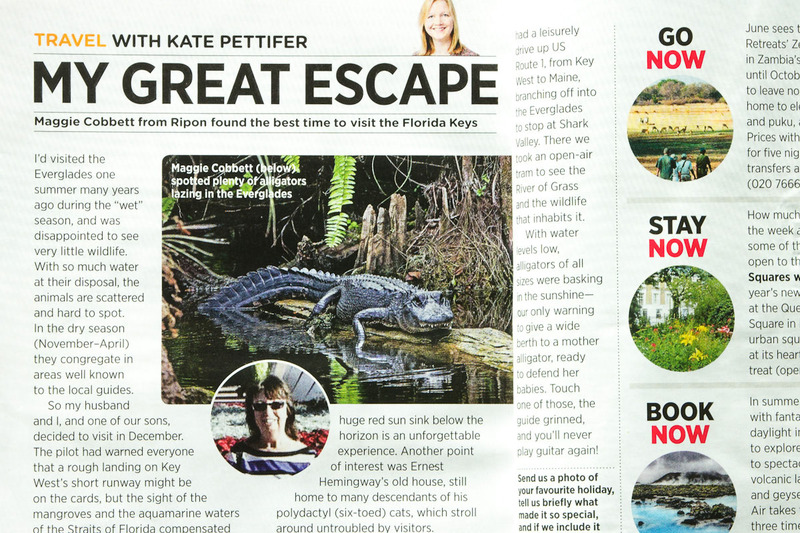 The Everglades is a cool place but I think most people visit the park for the alligators. In that case I recommend Shark Valley for anyone visiting. You’ll get a taste of the Everglades and plenty of alligator photos. Click here to see the original photo. Here’s a super wide panorama I did for Green Advertising to showcase the intracoastal waterway in Juno Beach. They also incorporated the photo into a billboard ad. Click here to read more about the photo. 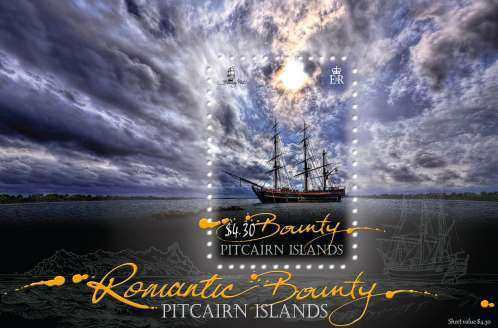 The photo of the pirate ship above was used for an official stamp for the Pitcairn Islands. Have you ever heard of it? Me too. I had to Google it to find out where it was. Which was out in the middle of nowhere! Click here to see the original photo. The Jupiter Lighthouse photo above is probably one of my most well known photo for Jupiter, Florida. I’ve had many requests for it to be used for many different things. One of the coolest request was for binoculars or Fanoculars to be exact. 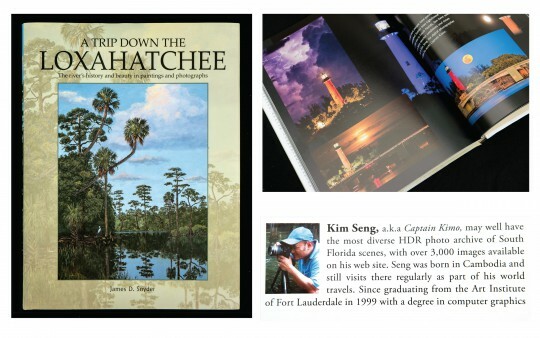 The above two pages where taken from the Florida Audubon Magazine. To download a free copy of the magazine click here or to visit the Florida Audubon website click here. To view the original photo of the Loxahatchee Slough click here and to see the Bath Tub Beach photo click here. Just a reminder: Downloaded high resolution files can be used for anything but resale of the image in it’s original format. 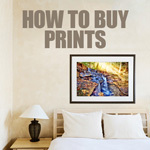 You cannot use the image to print and resell them as a stand-alone product, like a poster or printed postcard. If you’re unsure about how to use the file please contact me using my contact form. All images and files remain the Copyright of Kim Y. Seng. If you require a different type of licensing please contact me.